I've been reluctant to post in my blog since the whole Bravo fallout thing happened. Since that post, Bravo confirmed to the delight of many that they were indeed filming the next season of Top Chef in our beloved Texas. I didn't intend to "break the story" and I'm not even quite sure I did. But after countless requests for interviews and comments I've been successful avoiding the press and letting things calm down back to normal. Well as normal as one can be when everyone now knows you as the girl who almost got in a fight with Top Chef over a tweet. Tonight the season premiere airs and I decided that as a still faithful Top Chef fan (yes, even after the BS the producer pulled) I'd celebrate with my own home version quick fire challenge. house weekly and a bunch of local farmers markets have sprung up in town. My attempts at living the SLO (sustainable, local, organic) life are made so much easier with these aids. My Greenling box arrives on Wednesdays. 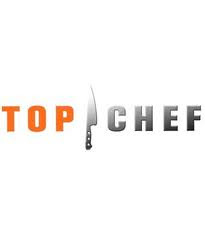 Top Chef airs on Wednesdays. My new weekly dinner routine has arrived! The dinner prepared for each Wednesday evening will focus on the Surprise Me item (whatever it is they send). I will allow myself to use other Greenling box items, as well as any other unprepared ingredients found in my pantry or fridge. No trips to the grocery store allowed. No skipping a Surprise Me dinner if a Season 9 Top Chef episode is airing. The only other restraint I put on myself is time. Dinner must be on the table at least an hour before Top Chef airs - I don't want to be rushing through the meal just to get to watch an episode. I like to enjoy my food. So here's the first (hopefully of many) Greenling Surprise Me Top Chef Quickfire challenges! Ever since I got this idea (about a week ago) I've been awaiting the arrival of my box to my doorstep. I'm usually not home when it arrives and the nice people at Greenling do such a great job packing and keeping items chill that I normally never get a chance to see my delivery guy. But today I made it home early as I couldn'twait any longer! cucumber melon! 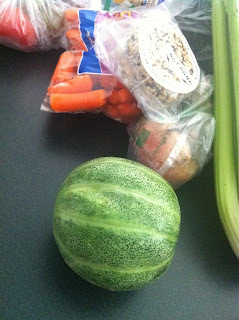 I love cucumbers and melons of all types, so at first thought this one should be easy right? 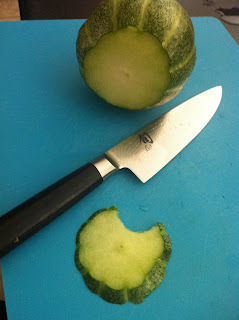 But how do you make an entire dinner out of a cucumber melon? I wasn't sure how sweet this one would be and what I should pair it with so I figured there was only one way to find out. Yum! It was at this point that I started to panic. I'm not a professional chef. I would never make it in a real quick fire challenge without breaking some cardinal rule of the kitchen. I don't measure, I don't follow instructions very well. How in the world would I make dinner for my family? What had I gotten myself into? And then I remembered this is all just for fun - and I took another bite - more yum. I was ready to start cooking. I wonder how much food gets eaten by the chefs during a quick fire challenge? 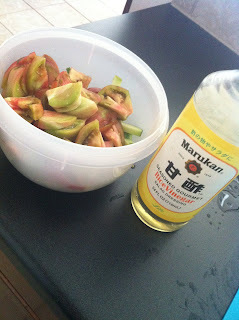 Step Three : I sliced up the tomato and cucumber melon and added some rice wine vinegar for good measure. I love a refreshing sunomono salad and figured I could play a little with some of the same flavors. Kocurek Charcuterie in my freezer that I had picked up at the farmer's market a few weeks ago. WIth no feta, it seemed like the logical next best thing! I adore Kocurek Charcuterie. And not just because they added delicious breakfast treats to the Pearl Farmers Market that are waiting for me when I come up from my run each Saturday morning. Their meat selections are simply amazing and this was no exception. The "technique" I use is to fill a sauté pan with just enough water to cover the bottom. 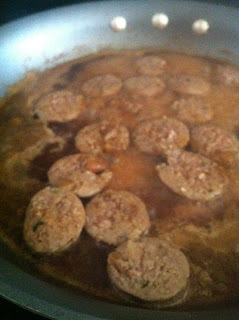 Throw in the sausage and turn every minute until it thaws. 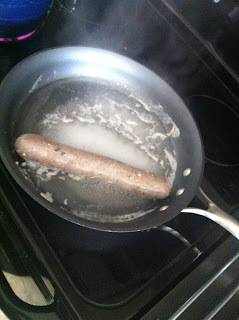 Once thawed (and slightly cooked), slice up the sausage and return to the water which by now is usually starting to coagulate. Is that even a cooking term? 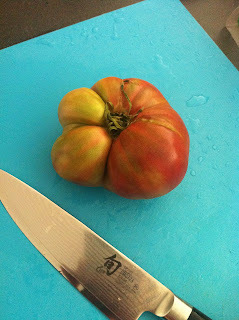 The smell in my kitchen was simply divine! If I would have known ahead of time I would have thawed it and grilled it, but sometimes the workarounds make for a really delicious meal. Tonight was no exception! I'd love to know if this is a proper sausage cooking technique or if I am blaspheming the amazing work done by the talented folks at Kocurek Charcuterie. 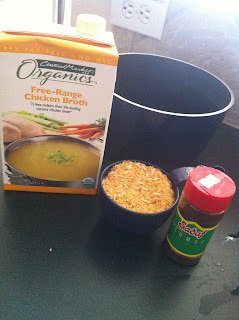 I decided to cook up a quick whole grain rice with the stock and sumac. It wouldn't be a meal from my kitchen if I didn't find a way to add butter into it. 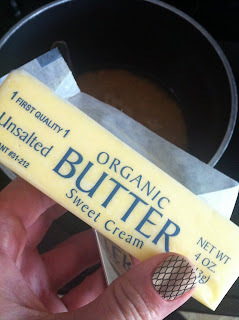 Butter is the number one used daily ingredient in my kitchen. I don't allow margarine in my house and if you start talking crap about butter I will kick you from my dinner table. 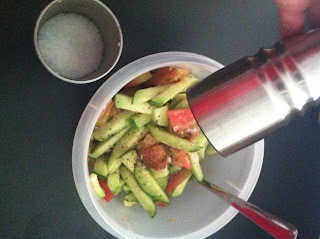 I finished up the cucumber melon and tomato with some Maldon Sea Salt (I love their salt!) and fresh black pepper and dinner was done! 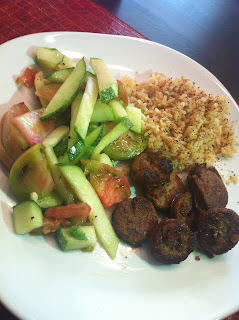 The finished masterpiece for my Episode 1 Greenling Surprise Me Top Chef QuickFire Challenge is a cucumber melon, heirloom tomato salad, lamb feta sausage and sumac rice. I served this for dinner and was given an "A" rating by my family. (They grade all my dishes) While I would have loved an A+ I am happy with tonight's meal and it's secured me for this round and given me immunity into the next. So Greenling - What do you have in store for me next week? I'd be rooting for my other favorite chef - Jason Dady from right here in San Antonio, but the Bravo producers didn't get him on their show. I wonder if Flock of Seagulls producer was behind that huge mistake too? I simply cannot wait for tonight's Texas showdown! You're so creative and talented! I would have ate the melon just like it was. I might be tempted to try lamb just once more if it had feta with it too. You can't go wrong with feta! Nom!